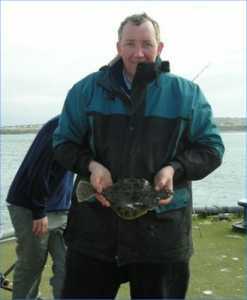 1st Terry Morrison with 35cm( have attached his photo with his winning fish from the old Ola pier) Terry is from Dover. all the juniors that fished received prizes for trying hard on what was a hard day to catch fish there names were, Rory Morrison, Aaran Swansome, Megan Morrison, Scot McKensie, and Mathew Ferrier. 21 people fished in all , the competition was organised by Caithness Sea Angling Association. and sponsored by Kingfisher Activities, the next comp will be at Dunnet Bay in May the date is to be arranged.